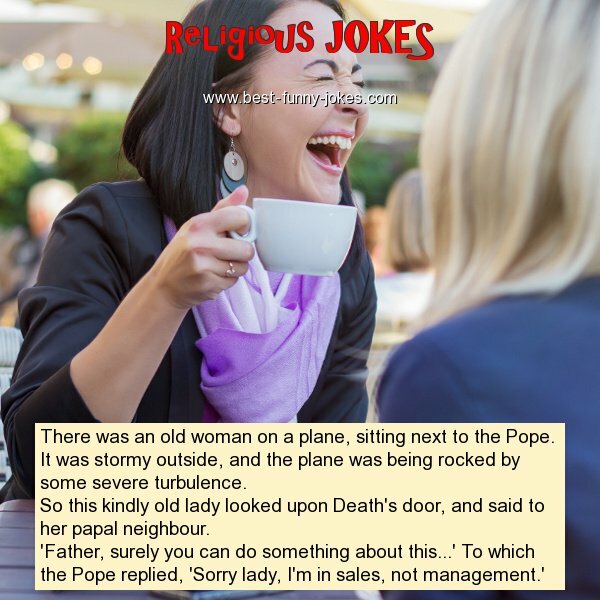 There was an old woman on a plane, sitting next to the Pope. It was stormy outside, and the plane was being rocked by some severe turbulence. So this kindly old lady looked upon Death's door, and said to her papal neighbour.